COLUMBUS (AP) — Ohio’s Republican governor is drawing attention by calling for “common sense” gun control measures after years of touting his gun rights credentials. John Kasich says there needs to be leadership on the issue from the White House and in what he calls the “dysfunctional” Congress in the aftermath of the deadly school shooting last week in Parkland, Florida. Karen Kasler of Ohio Public Radio/TV reported after Kasich’s comments in a Sunday interview on CNN that his political web site’s section called “Defending the Second Amendment” had been removed. On Monday, the campaign site for the frequent critic of President Donald Trump headlined his positions as “Common Sense on the Second Amendment.” While saying he has signed multiple bills to protect gun rights, the site says Kasich sees the need for “common-sense solutions.” They include potentially expanding background checks for gun sales and limiting the ability to sell weapons often used in mass killings, such as the AR-15 rifle used in Parkland. John Weaver, a strategist for Kasich’s 2016 presidential campaign, said via Twitter that Kasich’s views “have evolved,” like many, if not most, Americans’. Kasich is considered a potential challenger to Trump again in 2020. 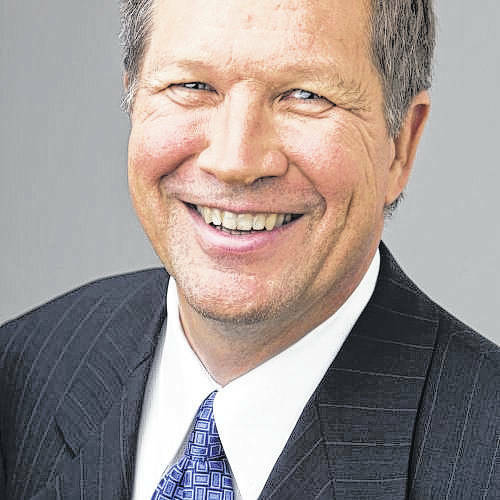 However, Kasich’s lieutenant governor and two-time running mate reacted critically Monday. She derided “knee-jerk reaction” attacking gun rights instead of root causes that she said in a statement “often center around mental illness.” She said restricting gun-buying rights of law-abiding Ohioans won’t help. “Neither does removing your prior support for pro-2nd Amendment legislation from a website,” said Taylor, who has recently appeared to be distancing herself from Kasich as she seeks the GOP nomination to succeed him against Attorney General Mike DeWine. One of the Democratic primary contenders, former congressman and Cleveland mayor Dennis Kucinich, on Monday said he would work for a statewide ban on AR-15 and other semi-automatic rifles. Cleveland.com reported Kucinich told a Cleveland gathering he wants local governments to pressure state legislators by passing resolutions. The johnkasich.com site now states that the Second Amendment is “one of the most divisive issues in our country. Leadership requires the willingness to tackle these issues and to find solutions.” His past campaigns have highlighted his pro-National Rifle Association record and the group’s 2014 endorsement of his re-election campaign. “I believe those who are Second Amendment advocates realize that common-sense, real reforms can happen in this country to answer the critics and the anguish of people all across the country who have lost loved ones,” Kasich said Sunday on CNN.